This hands-on guide gives an overview of computer vision and enables engineers to understand the implications and challenges behind mobile platform design choices. 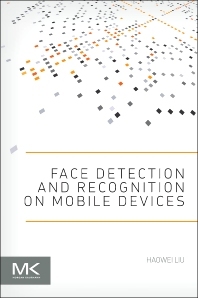 Using face-related algorithms as examples, the author surveys and illustrates how design choices and algorithms can be geared towards developing power-saving and efficient applications on resource constrained mobile platforms. Researchers and software engineers in computer vision looking to understand the needs of mobile devices. Haowei Liu is a software engineer in the Perceptual Computing Group at Intel. Previously he was with the exploratory computer vision group at IBM’s TJ Watson Center, where he built computer vision algorithms into products (the IBM S3 system). He has published papers in conferences, journals, book volumes, and tech reports, has been a presenter and session chair/committee member for various conferences, and has served as an associate editor for journals in the computer vision field.